Join us for the fifth annual Dune Dash 4-mile run/walk on Saturday, August 20th. The race course showcases the Sleeping Bear Heritage Trail located in the Sleeping Bear Dunes National Lakeshore. 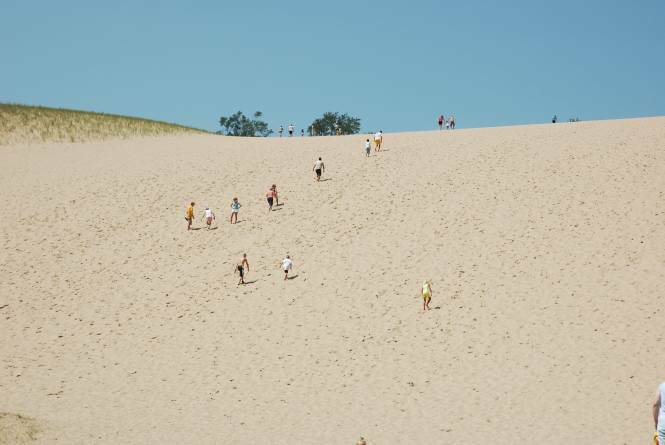 Starting and finishing at the base of the Dune Climb, runners follow the flat, paved Sleeping Bear Heritage Trail past rolling dunes and beautiful forests to the turn around point at historic Glen Haven. Don't miss your chance to experience what will soon be known as one of the most beautiful scenic runs in Michigan if not the country.